Like any proud carrier of Irish and English heritage, I love me some carbs. True I adore veggies and fruits, but when it comes to the “guts” of a meal, I do love a big ol’ pile of saucy noodles. Yup. Be them Chinese, Japanese, Italian, or German – I heart noodles. So it is really no surprise that a great new Love, Me product has won my heart. My cool weather comfort food is noodles and now my cool weather comfort accessory is…well…noodles?? 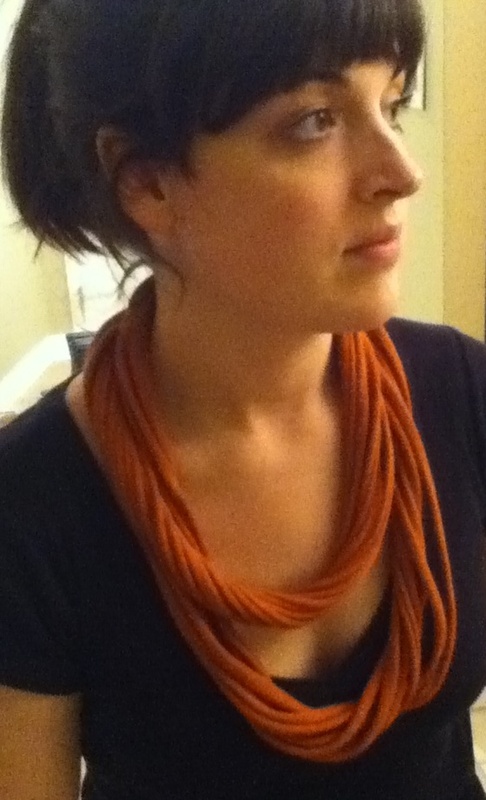 Neck noodles are a fun necklace/scarf/ridiculously fun accessory made right here in the ‘Fax and available at Love, Me. 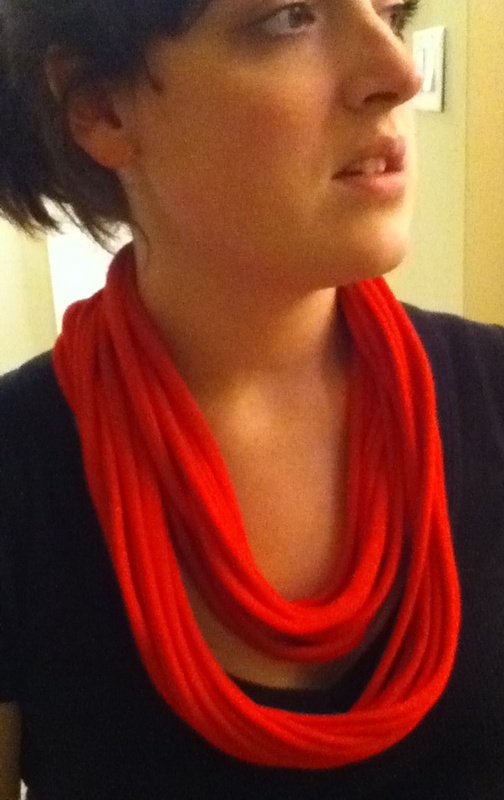 Neck noodles are made from up-cycled premium tshirts and gathered in a way that makes wearing them both easy and fun. (Seriously there are a crazy number of ways to wear the noodles.) With plenty of solid or tie-dyed colours to choose from, the noodles with add both zing to an outfit & comfort to a style. Just like its pasta namesake, no matter how you loop it, scoop it or swoop it, its delish! P.S. Neck Noodles are not restricted to cool weather. I am just being a tad grumpy today about the weather forecast. Hey! I have high (and perhaps unrealistic) hopes for my summer weather.